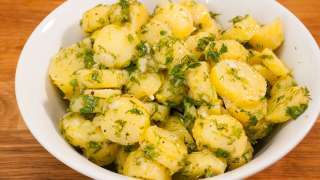 Green potato salad is a good recipe if you are note able to make a gravy to go with your potatoes, or if it has to be quick meal. Oh yeah, it is also a good dish simply because it taste fantastic. You can also make it in as large portions as you have pots for cooking potatoes, and the potatoes can even be cooked the day before and put in the fridge, so it's great for parties. The recipe can be varied indefinitely depending on which seasoning and herbs you like. Vinaigrette is a very simple dressing. It is one of the recipes you must be able to make. It can be used for: tomato salad, lettuce salad, potato salad, pasta salad, bean salad and any salad you can think of. 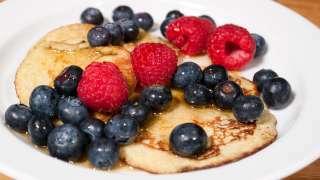 OK, maybe not fruit salad, but it can be varied indefinitely with spices, herbs and other condiments. 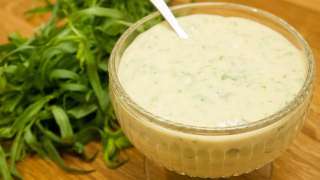 Sauce Remoulade is a very ersatile sauce. It can be used for everything from fish, burgers, dipping sauce for fries on red steaks and as dip for chips and vegetables, if you just stir it up with a little yogurt. 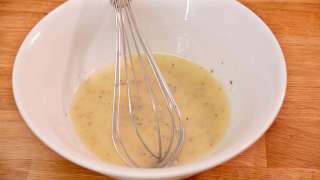 In short, everywhere you can use a hollandaise or bearnaise. I have family members who do not tolerate gluten. So I have experimented with making a good gluten-free bread. Indeed, I've managed to make one good enough that I no longer bake two different kinds of bread when I make bread for the gluten-affected. I can easily eat the gluten-free bread myself. 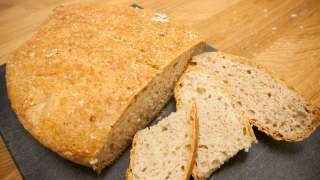 It's not as good as "The World's Best Bread" with wheat flour, but it's still better than just about any bread you can buy in supermarkets or at regular bakeries. Marble Cake is one of the classic variations of pound cake. It is in fact, the same recipe just with a little cocoa in it. 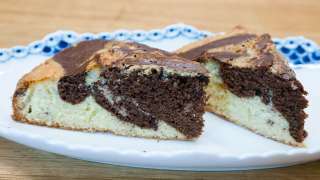 This is a recipe for "half a marble cake" so to speak. Instead of 7 oz of each ingredient that you typically use for a cake in spring form, I use 3½ oz. It yields a small cake, so I also use a small spring form for it. 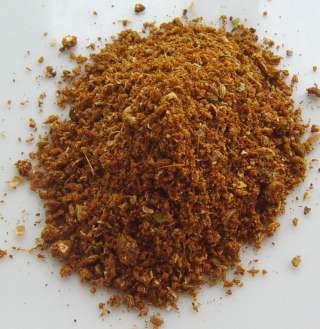 Garam Masala is a spice mix. Made up of a lot of regular spices mixed together. Actually it is Indian/Pakistani but it can easily be used in other cuisines as well. Many of the same spices are used in Arabic and Mexican cuisine as well. So it is a very practical thing to have in the cupboard as it goes well with a range from foods from Chicken Tikka Masala to tacos ans burritos. 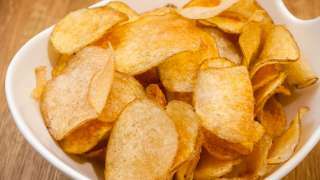 There is no doubt that potato chips are easiest to just buy. But the uniformity of the factory made I find unattractive. 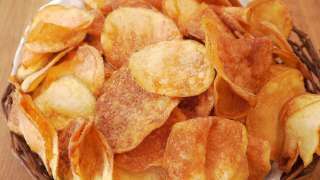 So when it is gin-tonic Friday in the small home, it is time to bring out the homemade chips. And the homemade guacamole. And salsa fresca. 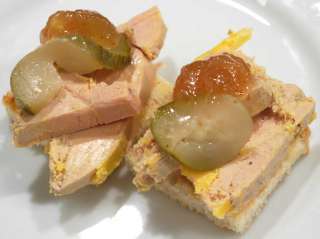 Video Recipe - Foie gras terrine or as the French are saying "Terrine de foie gras" is a classic. It is just the fat liver of a duck or a goose where you add salt, pepper and a little alcohol. But the traditional method is difficult to do correctly, and too much of the fat melts of and is wasted. 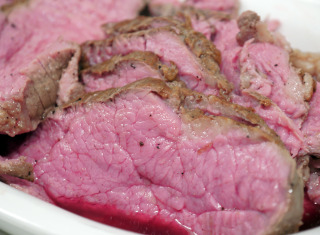 So I find that this is the perfect recipe to make using sous vide. 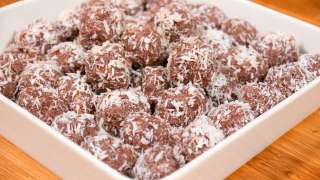 Video recipe - Peanut-date-balls have a taste that is similar to snickers. But not as sweet. It is a really good recipe to make with the kids. It is easy and quick enough that they don't lose their interest along the way. And they love how it tastes. 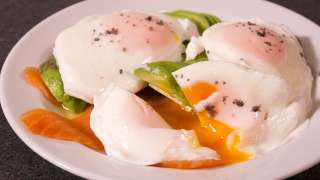 Video recipe - The recipes I have seen on how to poach an egg makes it all to complicated. It really is a very easy process. And one of the best ways to cook an egg. Video Recipe - The main advantage of sous vide cooking is that you can turn cheap cuts into something as good, or better, as the expensive cuts. It makes me so happy every time :-D It is also an easy way to cook for guests. As it can be prepared a long time in advance and it is always ready on time. 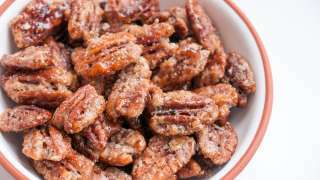 Recipe with video - Pecan nuts was not something I was used to growing up in Denmark. I only first tasted them when visiting Danish friends working in USA a little over 20 years ago. They made a pecan pie recipe they had gotten from their neighbors. And that mild walnut flavor tested just right for me. 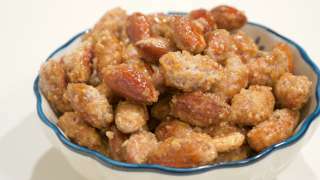 It is also one of the best nuts to caramelize. 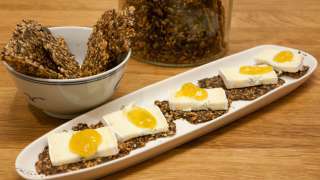 Recipe with video - A classic from the childhood of every Dane. You cannot walk the shopping streets in the winter without them being made everywhere. but they are easy to make yourself, and the usually taste better than the bought ones. 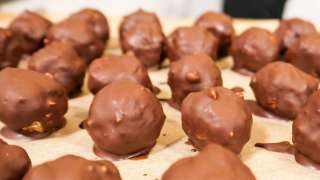 Video Recipe - A powerful snack attack is one of the worst feelings on a sunday night. Knowing there is nothing in the house and you just really feel like you *need* something delicious. 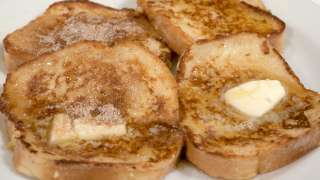 Well, the cinnamon toast and the french toast is just the solution. They only use ingredients that most people have lying about, and it takes 5 minutes to make them.